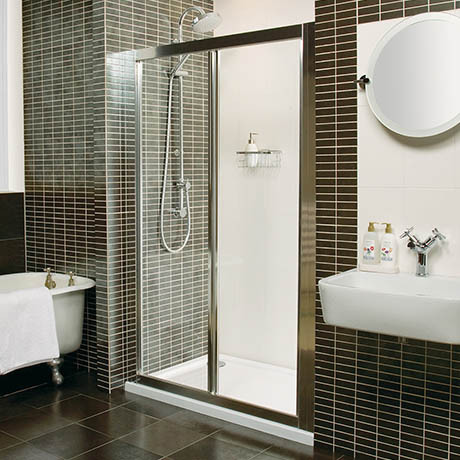 The Collage Bi-Fold Shower Door is both practical and stylish. The in-fold design of the Collage Bi-Fold Door allows more useable space and minimal intrusion into the bathroom area. It is ideal for use in smaller bathrooms or where there may be obstructions outside the showering area, which need to be avoided. The Collage Bi-Fold Shower Door features bright silver framing, reversible design for left or right hand fixing and a magnetic closing mechanism. It stands elegantly at a height of 1830mm with 4mm thick glass, and is available with an optional side panel for a corner installation.